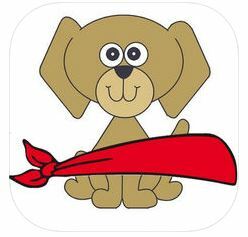 If you love dogs and want to explore the responsibilities of dog care and ownership on a virtual level, Blindfold Doggy is the virtual pet game for you! 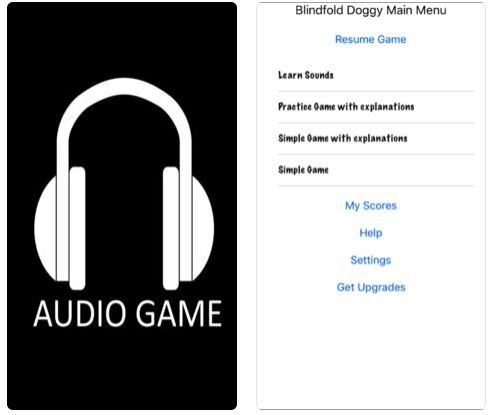 Blindfold Doggy is a fully-accessible dog ownership simulation game, for both sighted and visually-impaired people, designed for rapid audio play. The object of the game is care for your dog: the better you care for your dog, the more points you’ll score. First, you have to learn the different sounds your dog makes when he needs something. Then, you must learn how to take care of him. That includes feeding him, walking him, giving him water, brushing him and playing with him, of course. Here’s an example of a doggy situation: To walk your dog, put on his collar and leash, open the door and start walking. To start walking, you swipe down on the app with one finger. Each down swipe takes you one step further from home. Each up swipe takes you one step closer to home. When you leave the house for a walk, the front door automatically closes behind you. To go back inside, walk back to the door and open it. Make sure you close the door, or your dog may run away. Once you’ve mastered taking care of one dog, try taking care of two. It’s much harder! And this game is fully-accessible with VoiceOver, which gives you auditory descriptions of each onscreen element and provides helpful hints along the way — whether you prefer using gestures, a keyboard or a braille display. And it supports more than 35 languages, including multiple voice options. There’s also an adventure game with your pup — go shopping for new toys and food, and take your dog to the veterinarian for routine checkups. See more about the app here!